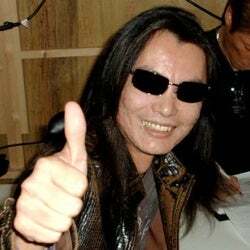 Game designer Tomonobu Itagaki and Tecmo have reconciled the lawsuit the former Team Ninja head filed in summer 2008. In an issued issued statement, Itagaki stated that the agreement was "mutual" and the settlement was "harmonious". Itagaki also gave a "heartfelt thanks" for all the fans who continued to offer support and encouragement during this ordeal. In 2008, Kotaku broke the news that former Dead or Alive and Ninja Gaiden designer Tomonobu Itagaki left Tecmo and sued the company for unpaid bonuses. "I am currently planning a totally new title," Itagaki added in his recent statement, "and I am eagerly awaiting the day I am able to announce it." Itagaki promised fans the game will be "world class entertainment" and offer "deeper" playing experience than anything up to now. Back in June 2008 Itagaki announced, "I have filed this lawsuit with a strong intent to question the social responsibility of Tecmo Co., Ltd. and its President Yoshimi Yasuda, as well as condemning them for their unjust acts." The game designer claimed damages in total of 148 million yen. Itagaki later revealed that he had been fired from the company. There were dubious "special incentive" contracts, secret tapes and submitted evidence. Tecmo slapped Itagaki with a four point gag-order — which the company later withdrew. Tecmo president Yoshimi Yasuda later resigned from the company. Last fall, Itagaki hinted at what kind of title he could be working on in an interview with Kotaku.